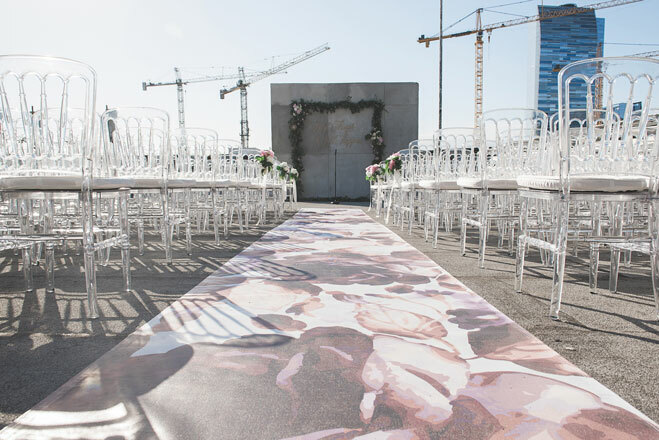 Clad in a twirl-invoking Hayley Paige wedding gown, Anna Siritharanukul exchanged vows with Nelson Zou atop the Hudson Loft (hudsonloft.com), overlooking Los Angeles’ downtown skyline—cranes and all. 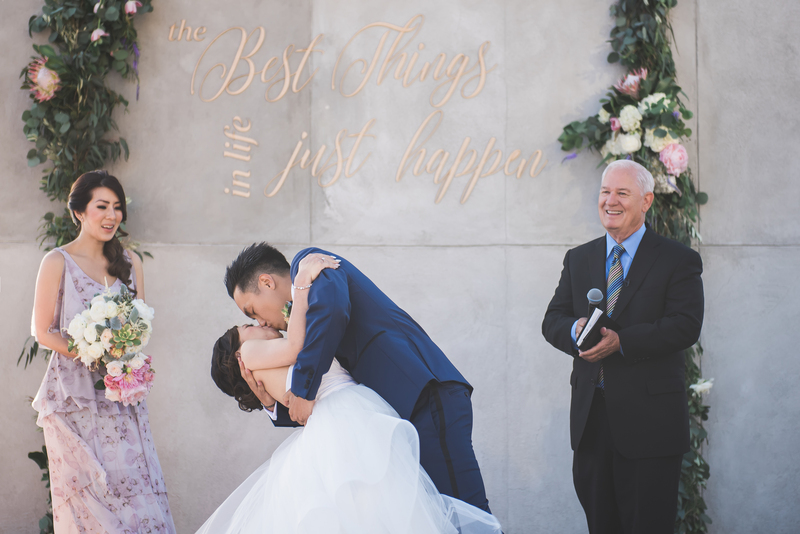 To add romance to the setting, Orange County’s Mele Amore Weddings and Events (meleamore.com) adorned the venue’s cement wall with the couple’s favorite quote, cut out in gold letters by Stacy Zou (stacyzou.com). Fantasy Floral Designs (fantasyfloraldesigns.com) framed the wall with a garland lush with protea, hydrangea and tulips. Instead of a traditional aisle flanked with florals, Mele Amore captured the feeling of a modern garden by creating a blush floral-printed runner. Armed with the idea of making the runner appear as though it were painted on the ground, the team enlisted the groom’s best man, graphic designer Kevin Kwok (kevinkwok.com), to create the imagery, which was transferred to a heavy-weight, porous fabric. 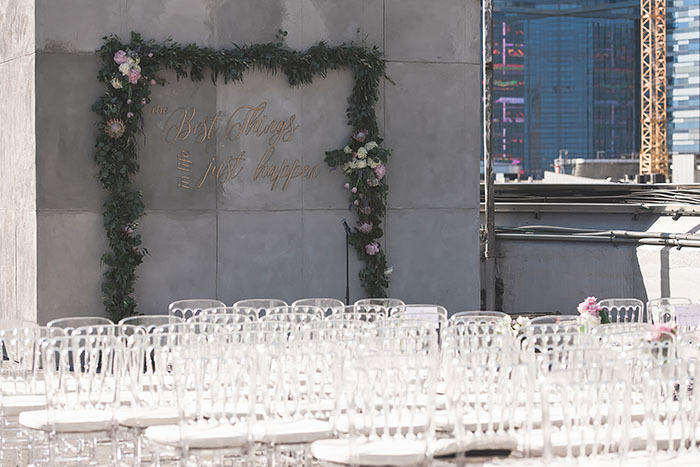 With ghost chairs (chiavarichairrentals.com) adding a chic, minimalist touch, Anna and Nelson’s rooftop garden was complete.